The tRNA cycle. The transfer RNA transfers single amino acids to the translational machinery and matches the codon of the mRNA with the anticodon loop. After the amino acid is attached to the growing protein chain, the tRNA is reloaded with the specific amino acid through tRNA synthetases. QARS is the tRNA synthetase for glutamine. 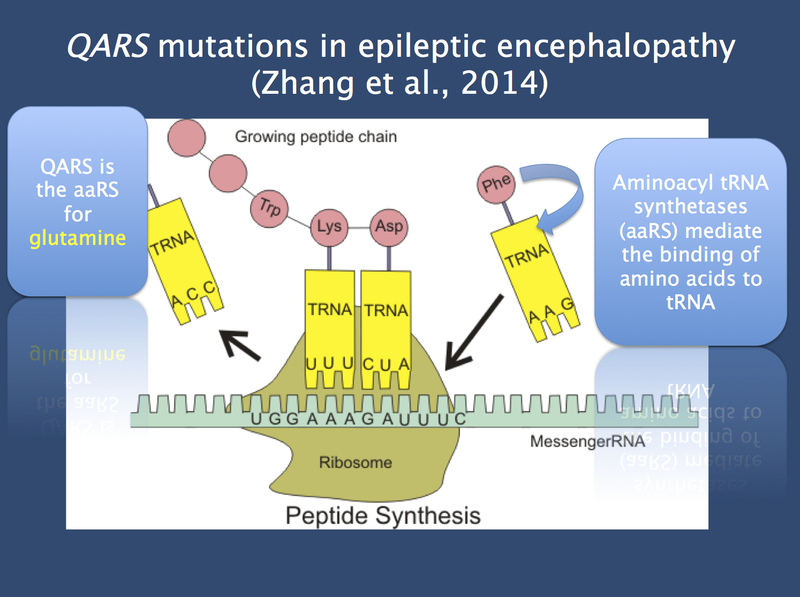 Mutations in QARS lead to a phenotypes of progressive microcephaly with intractable, early onset epilepsy.